Amnesia. It’s a devastating medical condition but the loss of memory is a beloved trope in romance novels. I’m sure many authors use poetic license with the symptoms and details, but this is not the time for realism. Readers want the angst, the challenges, and the ever-present intrigue that that can be found with an amnesia storyline. Imagine waking up with partial memory loss and having to depend on the gorgeous and charismatic billionaire who everyone says you belong with. Okay, you’ll go along with it. Who are you to argue? You enter his luxurious lifestyle and you feel right at home. However, your instincts tell you this guy broke your heart. So why is he pampering you like a princess? He must have done something really, really bad. 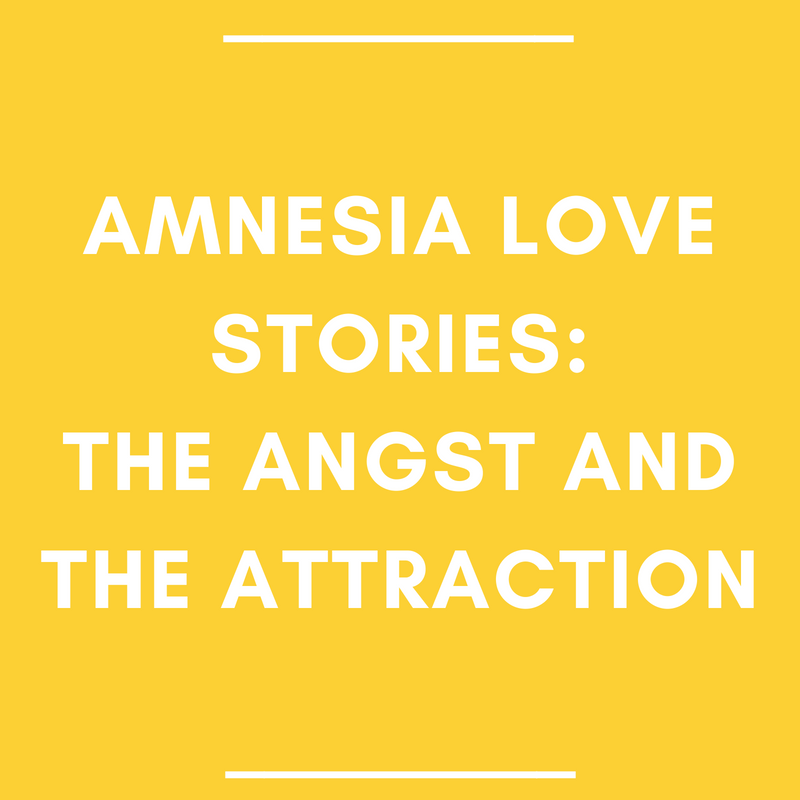 In a romance novel, amnesia often allows the couple to have a second chance at love. The hero and heroine rediscover what made them fall for each other, and they get to experience the magic again. Of course, we know the second honeymoon is going to come crashing down the minute someone gets their memory back. Then you hope that the couple’s love is stronger than ever to overcome the obstacles they face. Betrayed by his former mistress, Talos wants to destroy Eve. When he finally finds her, she is not only an amnesia patient, but she is also pregnant with his child. Talos wants to punish her, but his priority is the child. Eve is horrified to discover what kind of person she used to be. It doesn’t make sense to her. She longs for security and love, which Talos seems to be offering, but she doesn’t trust his urgency to marry. She’s drawn to him, but her instincts warn her to keep her distance. I love the twists that are often found in Jennie Lucas’s stories, and Bought: The Greek’s Baby doesn’t disappoint! After losing her memory from being continuously drugged while kidnapped, Caroline has returned from captivity and is now possibly a victim of gaslighting. Caroline must speak to her husband Damon to get some answers. This requires her to act as if she doesn’t remember him so she can discover why she hadn’t been reported missing and why he didn’t pay the ransom. She had married him for love, but had it be only business on his side? 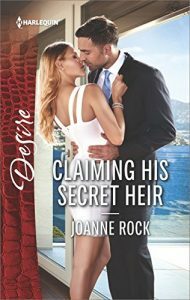 Claiming His Secret Heir is an unputdownable story with a fascinating heroine who demonstrates strength while she hunts down the answers that might destroy her. Alessandro doesn’t trust anyone, and now that he suffers from partial amnesia, he’s feeling extremely vulnerable. After seeing a photo of a woman, Alessandro senses that he knows her and flies across the world to find her. It turns out that he does know Carys—not only did they have an affair, but she is the mother of his son. He quickly gets her to agree to a marriage even though it turns out their affair ended because of claims of infidelity on both sides. Forgotten Mistress, Secret Love-Child is an exceptional love story about two people who work through their fears to find true happiness. Leighton is engaged but she and her fiancé are not in love. They will both get the life they want from the marriage. If only she wasn’t attracted to Jonathan, her fiancé’s brother! But when she wakes up after an accident and has retrograde amnesia, she’s led to believe Jonathan is her fiancé. How could she have known that her real fiancé was out of town and decided not to rush back to her hospital bed? Instead, he had asked Jonathan to step in for him. Jonathan reluctantly agreed but he won’t be able to hide his desire for Leighton for much longer. 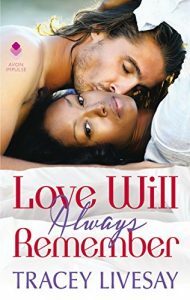 Love Will Always Remember is a compelling romance and Tracey Livesay’s storytelling sparkles. Six years ago, Cassie fell in love with Sandro. They spent one night together and then he disappeared. Now he’s walked back into her life—as her boss. Cassie can’t believe that while their affair had changed the course of her life, he acts like he doesn’t know her. But it turns out that Sandro had a car accident six years ago and suffers partial memory loss around the time of the accident. Yet why is Cassie the only part of his life Sandro can’t remember? She’s not sure if she wants to know the answer. 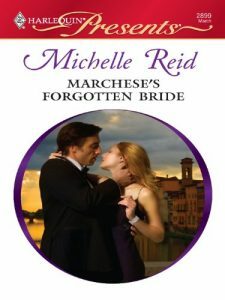 The Marchese’s Forgotten Bride is an emotional rollercoaster ride! There are just a few amnesia love stories. Share your favorites!